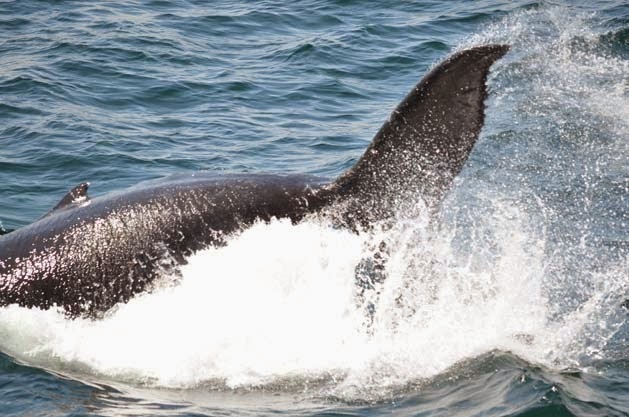 New England Aquarium Whale Watch Season is just a one week away! We'll head out with our partners at Boston Harbor Cruises (BHC) starting March 29! So with that in mind, let's brush up on the sights and cetaceans from last season. 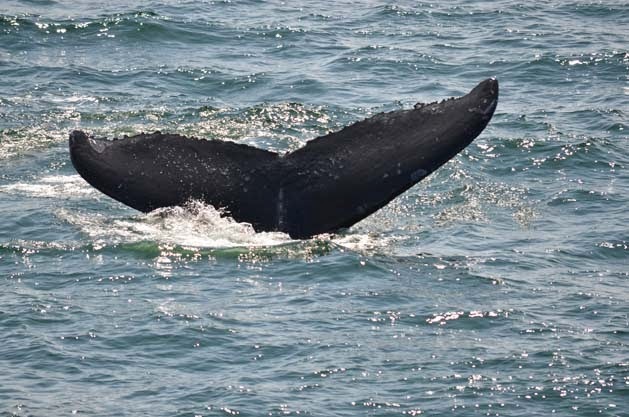 This is a cross-post from the Boston Harbor Cruises blog by Laura Howes, Director of Marine Education and Conservation at BHC. 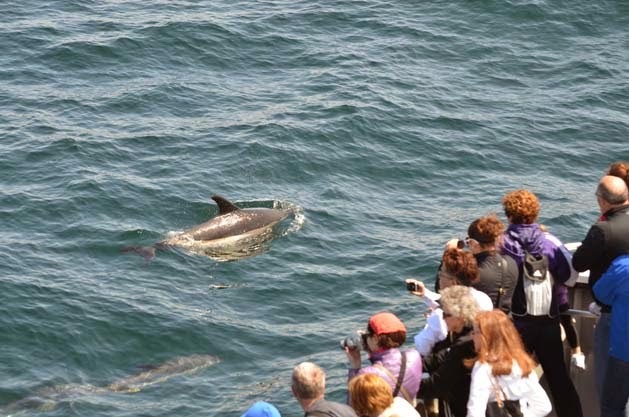 It was a busy year during our first season of the New England Aquarium and Boston Harbor Cruises partnership. This was my third season working with BHC, and my first official year as BHC’s Director of Marine Education and Conservation. During the whale watch season you’ll usually find me out on the water, and during the off season there are many things keeping me busy here at the Long Wharf office to prepare for 2014. Our 2013 season ended November 17, so after some time for reflection about the 500+ whale watches this year, I’ll be posting about our exciting and unusual season. Whenever a passenger asks me when is the best time of the season to see whales on Stellwagen, I usually give them the answer that every day on the water is different. Generally the summer tends to be the peak of season when the majority of the species we typically see are in the area, but every season can vary based on the prey availability and other environmental factors of that year. That being said, the 2013 season was one of our more atypical seasons at one of the biggest marine feeding grounds in the Gulf of Maine. We kicked off our season with a bang at the end of March with our first sighting of humpback Bounce, a female humpback born in 2007. Every year I always have a lot of anticipation of what the first whale sighted will be, especially since we’re usually one of the first boats out on the water. For the first few weeks, we spent our time on the Northwest corner of Stellwagen Bank and sightings included several humpbacks – mainly adult females such as Cardhu, Giraffe, Loon, Wizard, and Blackhole, a few of which we saw around the same time the previous spring. We also saw a few minkes, several finbacks, Atlantic white-sided dolphins and harbor porpoise. On April 14, we spotted Whisk and her 2013 calf. A bit early in the season to see a mother and calf pair. 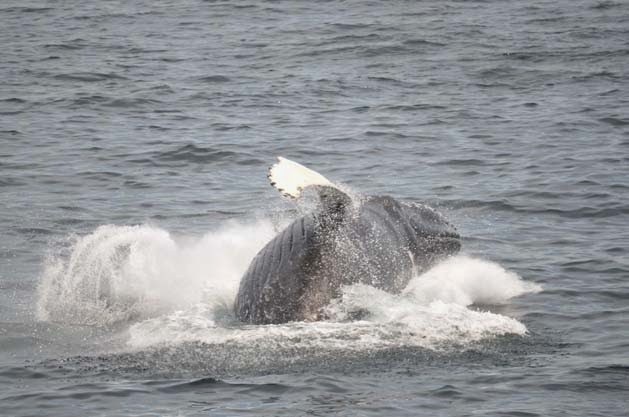 Although Whisk seemed a bit thin (most humpbacks are thin when they first arrive in the spring), we did observe the calf healthily nursing and breaching! 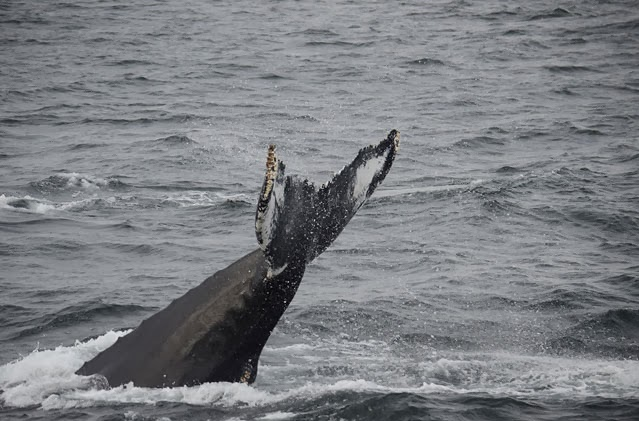 By the end of April we traveled father north to Jeffrey’s ledge spotting many humpbacks such as Reaper, Tongs, Satula, Cardhu, Pinball, Geometry, Badge, Colt, Springboard, Yoo-Hoo, and Jigger and Bolide. This last pair were observed lunge feeding together! Then came the month of May – with a flurry of activity! Early in May we had an unusual sighting of several skim-feeding sei whales. 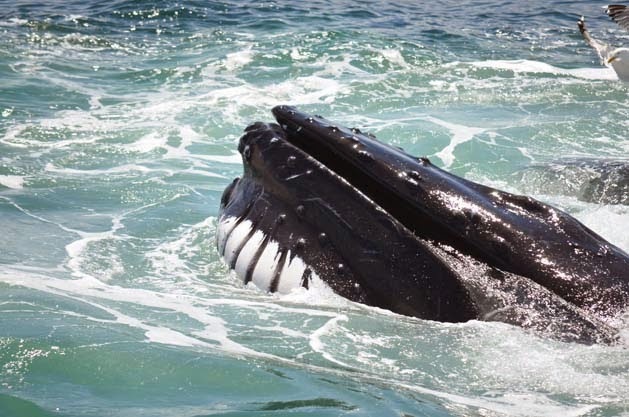 They were feeding near humpbacks on Stellwagen, indicating they most likely were feeding on krill instead their usual diet of copepods—similar to that of right whales. On one of our trips we had a fabulous look of an individual’s baleen. 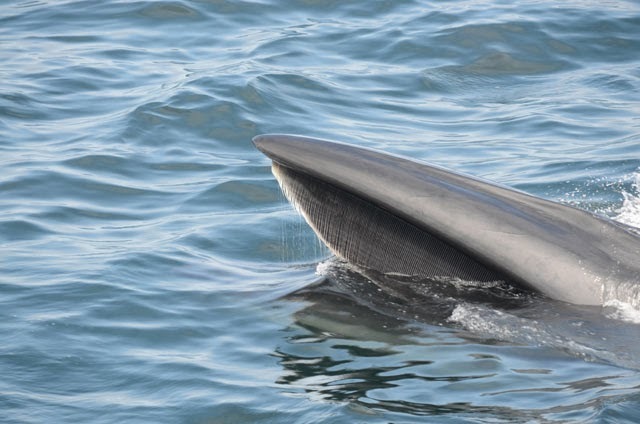 The best way to describe a sei is a cross between a fin and minke whale, and we don’t often see them on our trips so our naturalists and New England Aquarium interns were quite excited. By mid-May we spent most of our time on the southern edge of Stellwagen, where there was quite a bit of bait. We had some days with often 15–20 scattered humpbacks on average, with lots of kick and bubble feeding! 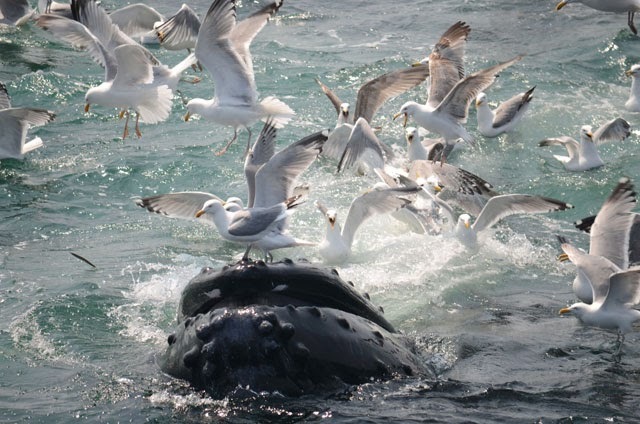 Bubble feeding humpback whales surface together while the sea birds are looking for a quick meal. Today on the 10am Asteria whale watch we had ANOTHER great trip to the SW corner of Stellwagen bank. There were 15–20 humpbacks in the area, most of which were surface feeding or exercising some type of surface behavior within view of the boat. 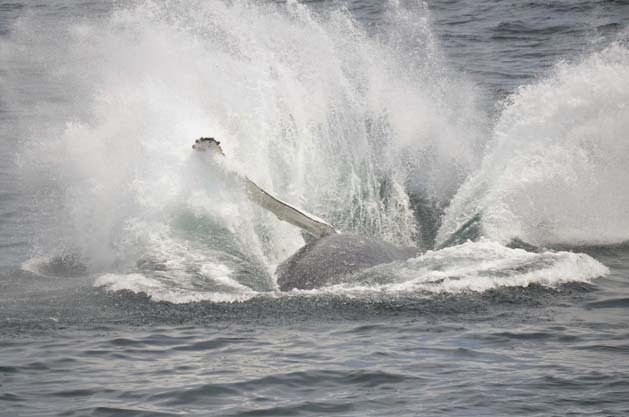 Passengers got to see bubbles and bubble nets being created by the humpbacks while they were beneath the surface and then got amazing looks as they came up with their mouths full of fish and water. We even saw a few open mouths come up in the distance. There was splashing all around with the occasional chin or tail slap. There was also a mother calf pair that showed up towards the end of the trip. Feeding minke whales were popping up around the boat (3-5 total) and Atlantic white-sided dolphins were scattered amongst the whales throughout the trip (approximately 200+). There were lots of gulls and some diving Northern gannets as well. 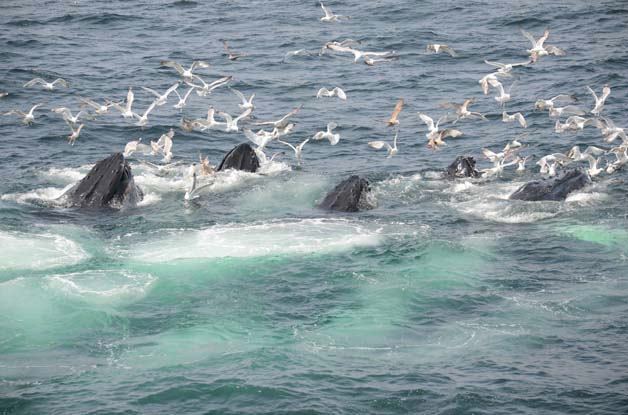 The humpbacks were spread out in all directions, in groups of 1–3, rather than feeding in one large group. Passengers were able to get great looks no matter where they were on the vessel. With a big gulp, humpback whales fill up their mouths and extend the pleats. Then the water is filtered out leaving the food inside their mouths. During this part of the month we also spent time with an associated group of humpbacks (plus or minus a few individuals at times) that included Falcon, Perseid, Aerospace, Eruption, Jupiter, Jabiru, and Mend deep feeding consistently together for about two weeks. There's so much to share about last season. Stay tuned all this week while we touch on the highlights of last season—which makes us really excited about the season that's just a week away! Part III: Whale Watch Season Ahead! Part II: Whale Watch Season Ahead!